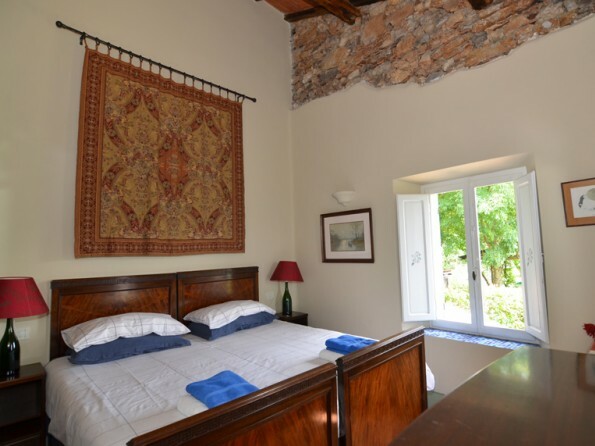 Lavacchio was completely renovated in 2004 and whilst the traditional features, such as the chestnut beams, were retained, the house was fitted with smart modern appliances to make your stay a comfortable one. Local shops and restaurants are minutes away, seasonal produce is available and there is a resident chef who can prepare a candle-lit dinner on the terrace for you. The owners live at Lavacchio and are willing to offer advice on where to shop and what to see or are happy to respect your privacy and leave you to your own devices. 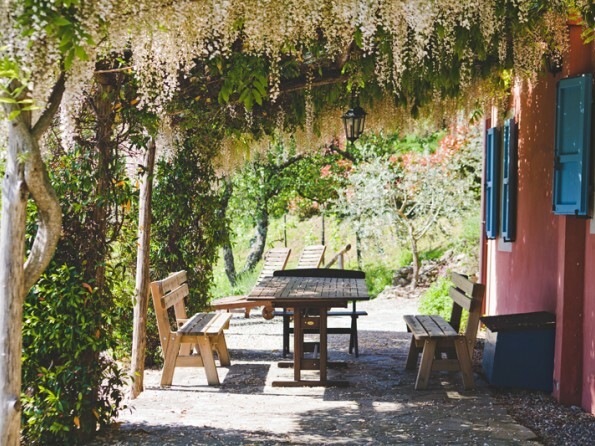 The views of the Appenines are stunning, and the fully catered option will mean you eat like kings. Or to do it yourself, walking holidays and cookery courses are on offer. The walks, lasting from 5 to 8 hours, are all based in the Appenines or the Apuane Alps. Cookery courses include tuition, course notes, wine and dinner. The hilltop town of Barga (8km) is well worth a visit as the summer brings a score of artists who exhibit their work in this "Citta d'Arte". Tennis courts and riding are both available here as well. The Grotta Del Vento (16km), a series of caves and vast galleries provide welcome respite from summer temperatures. For those in search of a winter break, Abetone and Mt. Cimone (60km) offer some fine skiing and snowboarding on a range of downhill pistes. The market town of Castelnuovo (8km) is the busy gateway to the Garfagnana national park. From here it is possible to hire mountain and road bikes in order to explore the dramatic scenery. 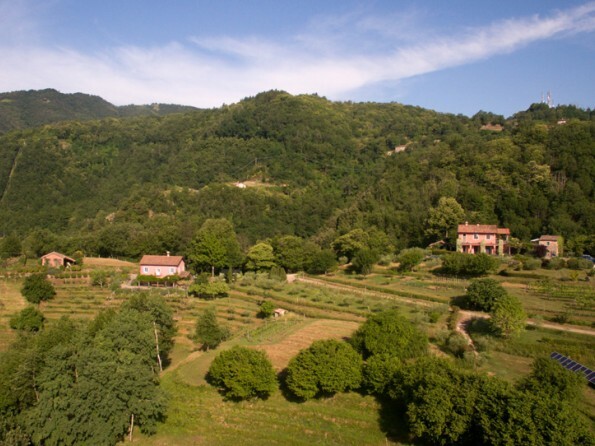 The provincial capital, Lucca (38km) is a major draw and the hills around Lucca produce excellent wine and olive oil. Further afield you could visit Pisa (80km), Florence (100km) or the extraordinary 13 towers of San Gimignano (130km). The beaches of Viaregio are an hour's exhilirating drive through the mountains. Pisa Airport is well served by Ryanair, easyJet, BA and many other airlines. Flights are remarkably cheap if booked well in advance. 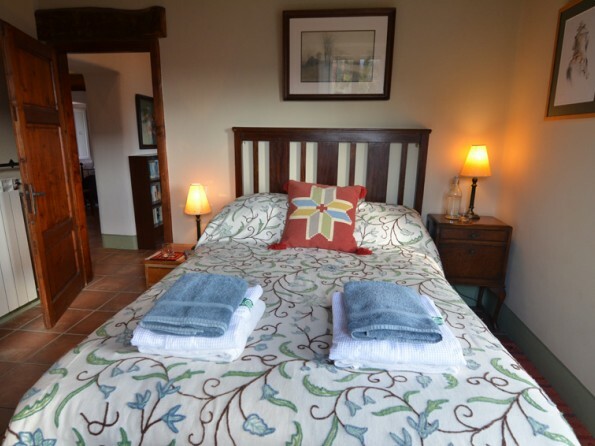 There are five double bedrooms (3 twin or giant double beds) and three bathrooms, a fully equipped dining kitchen and a comfortable sitting room with a log burner stove. The house is well stocked with books, cards and games. There is a cot and high chair for those with young children. The swimming pool is 12m x 6m with Roman steps at one end. It is 1.5 m deep throughout and is purified with a saline solution rather than chlorine. There is a fresh-water shower for rinsing after use. The pool is surrounded by stone paving and has a range of wooden sunloungers and chairs. The small poolhouse is equipped with plastic tumblers and wine glasses. Pool towels are provided in the accommodation. There is a variety of games: a full sized table tennis table, a badminton net and racquets and an area for boules. There is a small child's swing and lots of room to kick a ball or fly a kite. Board games and cards are provided in the accommodation. Two terraces for alfresco eating and a working pizza oven mean that time spent indoors is kept to a minimum. 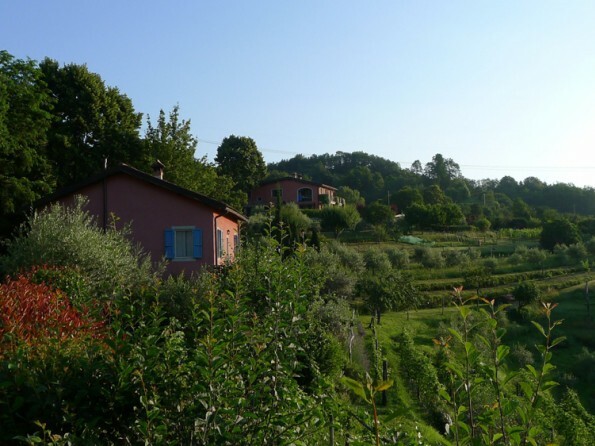 There is a range of walking trails through the chestnut woods, should you want to explore Lavacchio or saunter further afield to discover local villages. We can arrange a mountain guide to take you gorge walking in the Orrido Di Botri or trekking in the Apuanes. There is an abundance of wildlife around Lavacchio, from the eagles soaring above on the thermals to the lizards who scuttle around the dry stone walls. Deer can be glimpsed in the woods, badgers can be spotted stealing our potatoes and wild boar captured on camera at dusk. 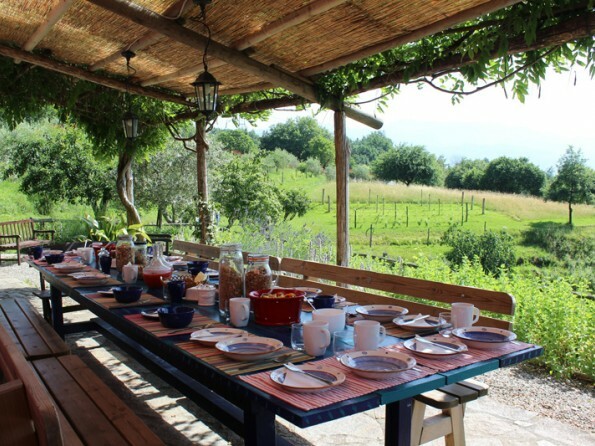 Evening meals, barbeques, pizza evenings and picnic lunches can be arranged on arrival. Fruit, vegetables, eggs and other seasonal produce can be bought at Lavacchio. 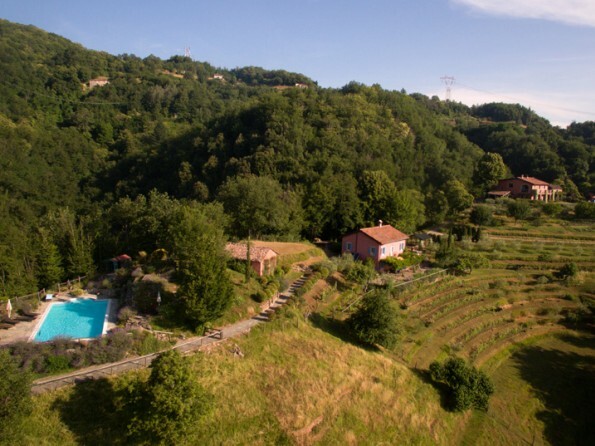 Prices for this villa in Tuscany are based on a week's let Saturday to Saturday and include: electricity, (* there will be a winter surcharge for gas), water, all linen, towels and pool towels and a welcome pack of local produce. In order to confirm your stay at Lavacchio, a deposit of 25% of the full payment (or full payment if booking within 8 weeks of departure) must be paid at the time of booking. This deposit is not refundable in the event of your cancellation or failure to pay on time.